Far too many journalists are "tone deaf to the music of religion," as commentator Bill Moyers once told GetReligion's own Terry Mattingly. 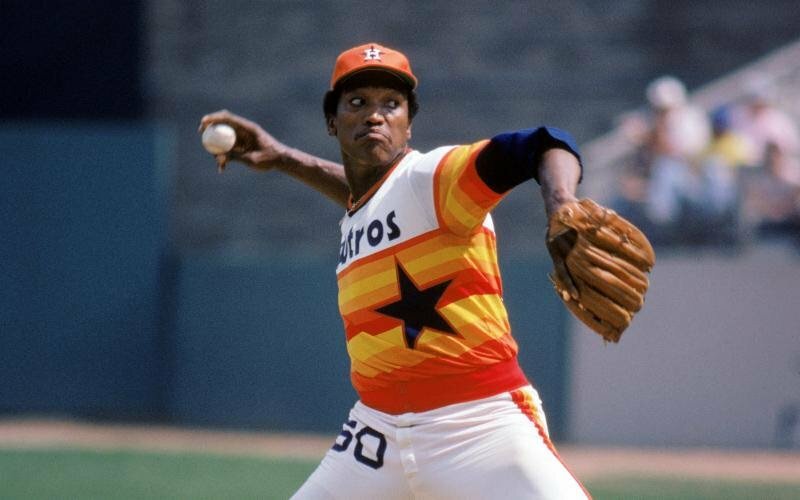 I get that sense about an in-depth Houston Chronicle profile of former Astros pitching great J.R. Richard that appeared on Sunday's front page. At repeated junctures in this otherwise excellent and nuanced piece, facts and details appear that seem to scream, "There's a religion angle here! Please ask Richard about his faith journey and what he believes about God!" Instead, it's as if the Chronicle can't hear that voice and instead moves forward with unrelated material, leaving obvious questions unanswered. The first clue of a religion angle comes right up top. A church? A pulpit? Might there be a specific reason for Richard speaking at this location? Thirty-eight summers ago, after the burly righthander had spent a decade with the Astros striking out 1,493 batters and dominating baseball with an effectively wild 100-mph fastball, Richard collapsed from an on-field stroke. It ended his career and derailed his life. His millions of dollars earned dwindled by 1994. He was dispossessed and occasionally resigned to sleeping under the U.S. 59 overpass on Beechnut Street. A stretch doing ministry? How did that come about? Was he a person of faith before his career went south? Or did religion rescue him? And if so, how? Specifically what happened? The Chronicle shows no interest at all in such relevant questions. Later, readers learn that "Reckless dietary habits and depression had exacerbated his destitution." What role has God played in Richard's life? How did Richard find God? Again, the story does not hear the music screaming such questions. The temperature in the room rises as the cram of people stands for a final prayer. What was said in the prayer? Did Richard say it or someone else? Again, radio silence from the Chronicle. What church? When? What was Richard doing at church? Still no interest from the Chronicle. This story is as tone-deaf as they get. It seems almost impossible to write about Richard without delving deeper into the religion angle. But somehow, the Chronicle does.